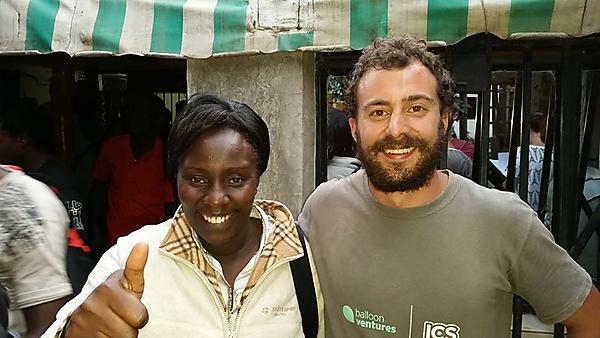 Patrick Briffa founded Kiatu, an ethical clothing company, after he spent a year and a half volunteering in Kenya. Upon graduating I started off as a Junior Management Accountant at HSS Hire. Whilst there, I began my CIMA studies and was involved in an IPO: a fantastic start to my career. After a year and a half I was offered the chance to volunteer in Kenya, teaching business skills. When I returned home, I decided to practise what I'd preached and make use of the talented people with whom I had worked. So, I started an ethical clothing company called Kiatu. Whilst I still have a day job in finance, Kiatu offers me the chance to be the decision maker whilst doing something I love. When I graduated, my entire focus was on becoming a Chartered Accountant. Whilst this is still the ultimate aim, it is no longer my sole focus. I have tried to seek out experiences that make me stand out from the crowd. Whilst this has occasionally caused me to put my professional career on hold, the pro's always outweigh the con's. Starting my own business was a bit of fantasy, but it was born out of a risk I took by going to Kenya. Starting Kiatu. There is so much to organise when starting a business – and once started, the work is never ending. It’s hard work and takes so much time, but it's so rewarding. Starting Kiatu. You constantly find new avenues that could be used to further the business: it's extremely addictive. The response from the public has been great; I've had plenty of useful advice and suggestions. I have also roped in a few friends who went to Plymouth too, so it's great to work with friends and bring them along on the journey. It would have been nice to start with a bit more of a budget, but that wasn't something we had much control over. As a result, we have had to be more creative and think of cost effective strategies, so I don't think it's been much of a hindrance. Just do it. Starting a business doesn't have to cost a fortune and can usually be done part-time. Don't be afraid to ‘fail’ because so many of the great businessmen and women have been failures. And even if you decide that it's no longer for you, it will distinguish you from the crowd. Whilst having a solid education in finance is useful in order to run a business, the greatest asset I have gained from my time at Plymouth is the people I met. Kiatu could not have started without fellow graduates who have provided a diverse skillset to my business. Without a doubt the best period of my life (so far) has been the three years I spent at Plymouth, so it's hard to pick one single event. But I suppose, right at the end, finding out I had got the grades I needed was a huge relief. The party wasn't bad either. Yes. The teaching and facilities are world class. Also, your peers will be some of the most talented people you will meet, and will inspire you to make the most of every opportunity.